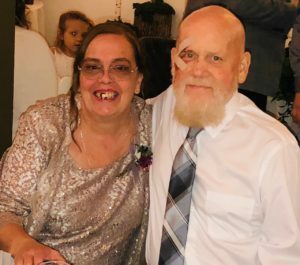 Donald Eugene “Red” Hiter, age 61 of Henderson, KY, passed away on Friday, November 2, 2018 at Deaconess Gateway Hospital. He was born on May 21, 1957 in Cincinnati, OH, the son of the late Elmer Roy and Bessie Olivia (Thomas) Hiter. Red was a proud veteran, serving in the U.S. Army. In 1990, Red met Kathleen Ann Metz, who would become his loving spouse of over 28 years. A self-proclaimed “jack-of-all-trades” with myriad work experiences, he worked as a machinist before his retirement, and was active at the Calvary Missionary Baptist Church, where he was a member. He enjoyed fishing, serving at his church, rock music, and being with friends. Most importantly, being one who knew no stranger, Red was eager to take in a new friend and continuously expanded his definition of ‘Family’, acting as a father-figure to many who will continue to be guided by his influence. Red is survived by his spouse, Kathy Hiter; children, William Mueller, Samuel Hiter, and Danielle (Metz) Buckley; grandchildren, Brett Seta, Pamela Mueller, Julie Mueller, and Launa Seta; 8 siblings, and numerous nieces and nephews. He was preceded in death by his parents; son, Charles Donald “Chuck” Hiter; and siblings, Judy, Samuel, and Ricky. A memorial service and internment of ashes will be held in Cincinnati in mid-November, with details to be made public promptly. Memorial contributions may be made in Donald’s name to the American Cancer Society.